Innovation Real Estate delivers an exceptional local property sales experience. Innovative marketing strategies and an extensive active buyers database delivers results well above expectations for our clients in the Centenary Suburbs. You wont find a more motivated, professional and experienced team to work for you. 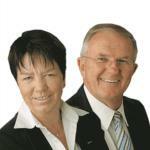 Local knowledge and extensive sales experience means tactical advice to ensure the smoothest property transaction.